Scottish First Minister Nicola Sturgeon has condemned the attacks on Neil Lennon, adding the Hibernian boss has shown "great dignity". Lennon was hit by a coin launched at him during last week's derby at Hearts, while a piece of graffiti sprayed onto a wall near Tynecastle emerged a day later, reading 'Hang Neil Lennon'. 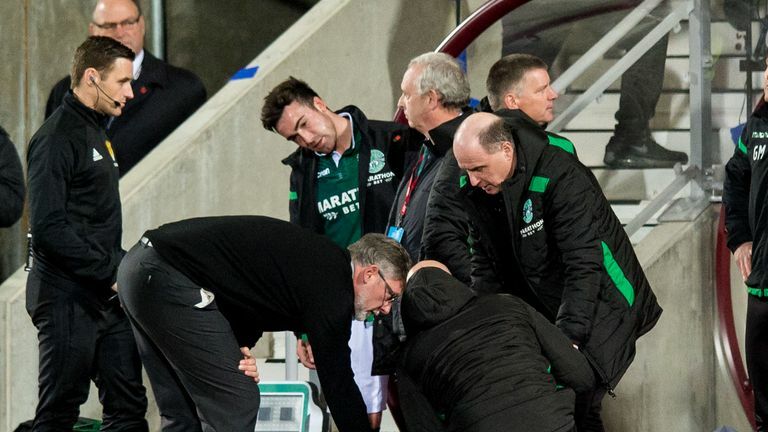 The Hibernian manager has threatened to walk away from Scottish football having also suffered similar abuse during his time as Celtic boss. Lennon described the treatment he has suffered as racism rather than sectarianism, and Sturgeon says it has "no place in modern Scotland". 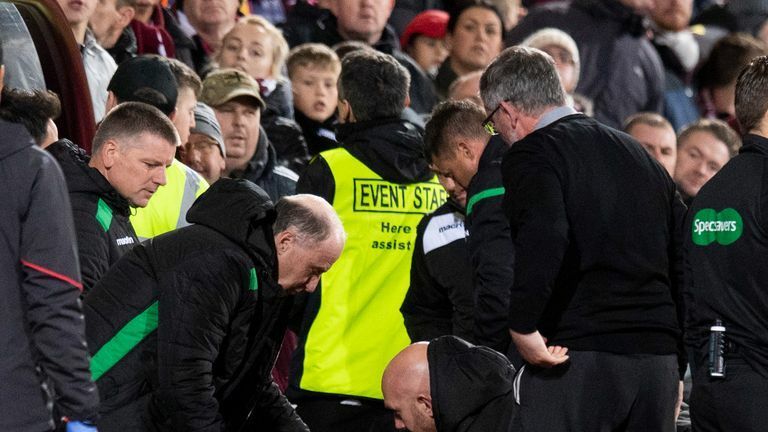 "Let me say at the outset and unequivocally that I condemn the attack on Neil Lennon that took place last week," Sturgeon said in response to a question tabled in the Scottish Parliament by MSP James Kelly. "Of course that is a matter for the police to thoroughly investigate. "I saw some of Neil Lennon's press conference at the end of last week and thought he conducted himself with great dignity. "Nobody should have to suffer the abuse and the attacks that he has had to suffer, and I'm sure all of us would agree with that. "I unequivocally condemn anti-Catholic bigotry, anti-Irish racism - I condemn sectarianism in any shape or form. "This government will continue to take the action we need to take to ensure that Scotland is a country that demonstrates zero tolerance of any of that kind of bigotry. "Whatever your footballing loyalties, or whether you don't have any footballing loyalties, that kind of conduct has no place in modern Scotland, and all of us must unite to make that absolutely crystal clear." 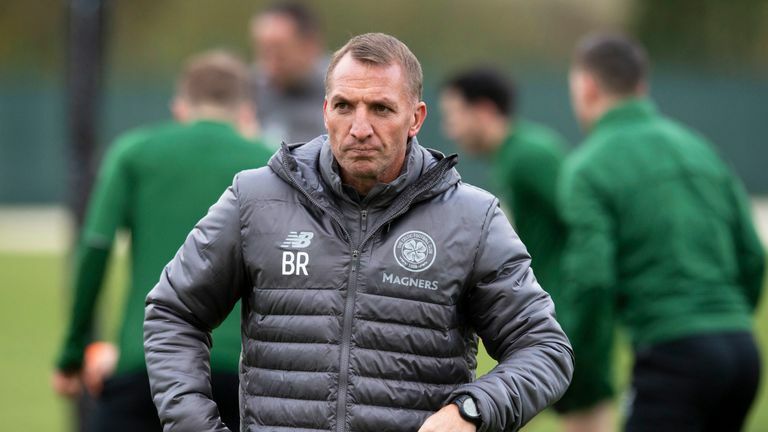 Glasgow Chief Superintendent Brian McInulty joined the condemnation but insisted the majority of Scottish football fans simply want to enjoy the beautiful game. "In my experience the vast majority of people who go along to football matches week-in, week-out across Scotland are genuine supporters who want to enjoy the match. "For a bit of context around that, we had around 1,000 football matches taking place last season. That was about 5m people going to matches at 42 clubs up and down the length of Scotland. "And actually there were only 300 arrests over that same period, and I think that demonstrates it is a small minority of people but they do create quite a significant impact and what we have seen recently is absolutely unacceptable."